Automatically give points to staff to redeem rewards. 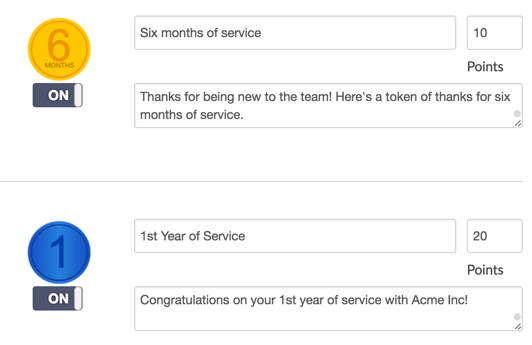 Select who is notified on a daily basis of employee anniversaries. Staff choose to have their events shared with the company or kept private. Free for existing customers. Have your company admin enable anniversaries. The Recognize platform is inheritantly social. Whenever someone has an anniversary, the whole company can see in the Recognize stream, which you can display in your intranet or a tv in your lobby. Staff can also choose to have their events private where they still get points but only they can see it. 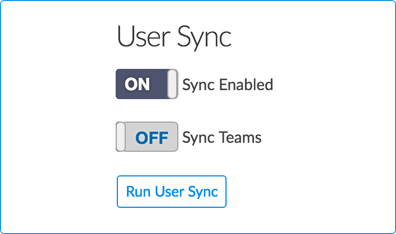 Recognize has amazing user sync abilities with Office 365, SSO, Google, and Yammer. We can always do an import and update via spreadsheets. Once logged in you can choose which year to celebrate, what the message will be, and how many points it is worth. Your staff can update their Recognize profile to include their birthday and start date. 9 out of 10 employees agree, Recognize increases staff retention and employee satisfaction. Plus, automated employee recognition frees up cycles for HR.